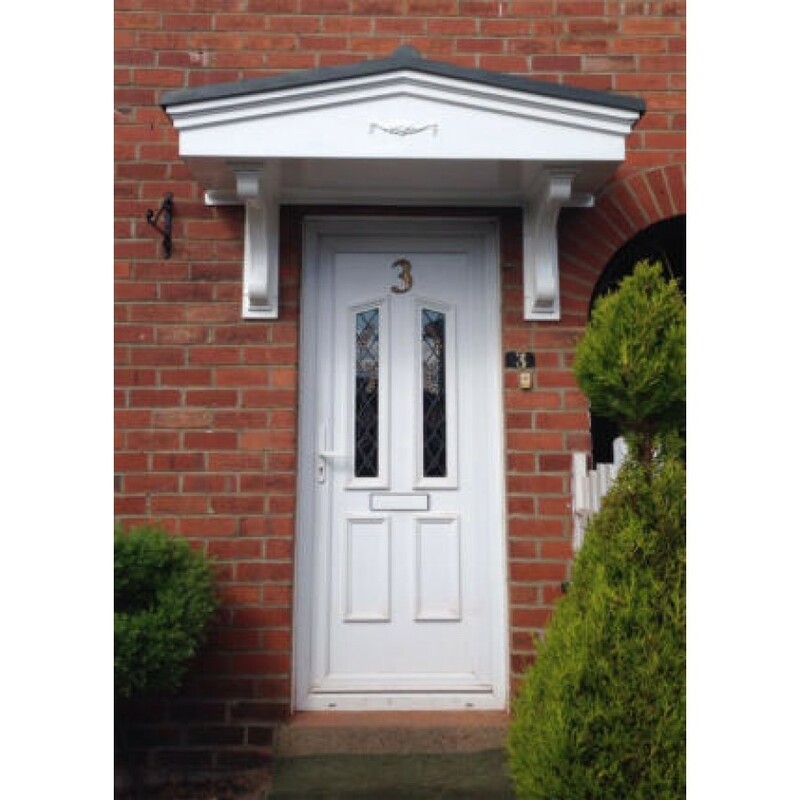 The Pacific S GRP (fibreglass) entrance door canopy is moulded with a grey slate dual pitch tiled roof, integral GRP lead effect fixing/flashing flange. 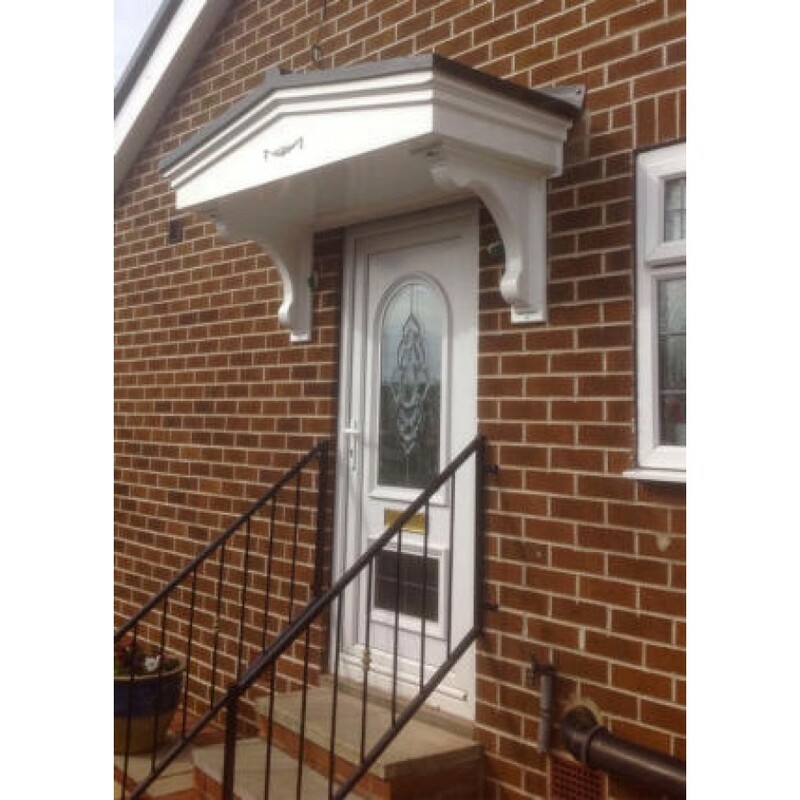 The Pacific S is supplied with a white fascia and detailed soffit. 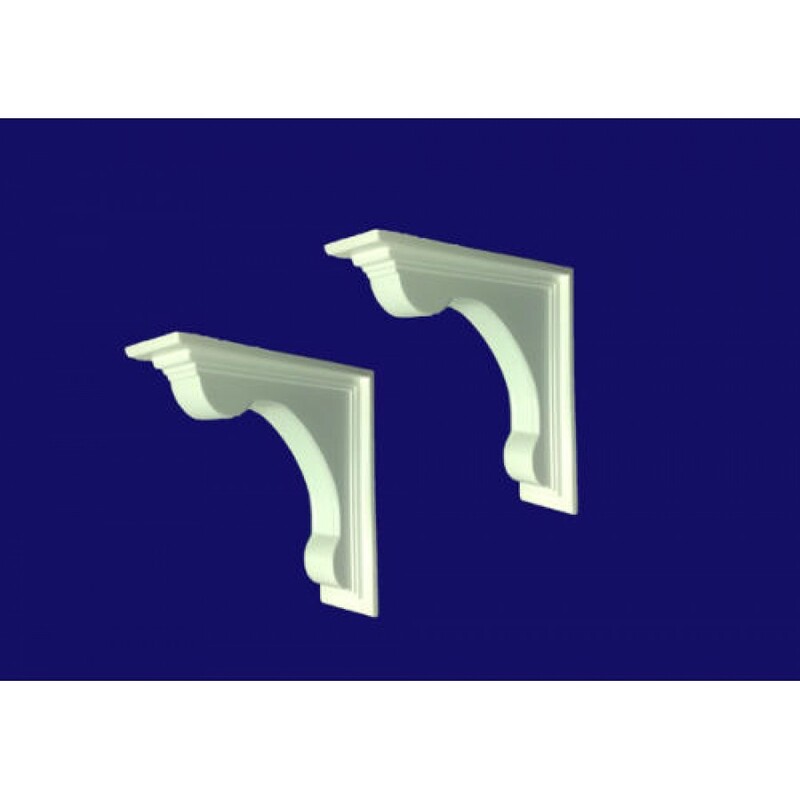 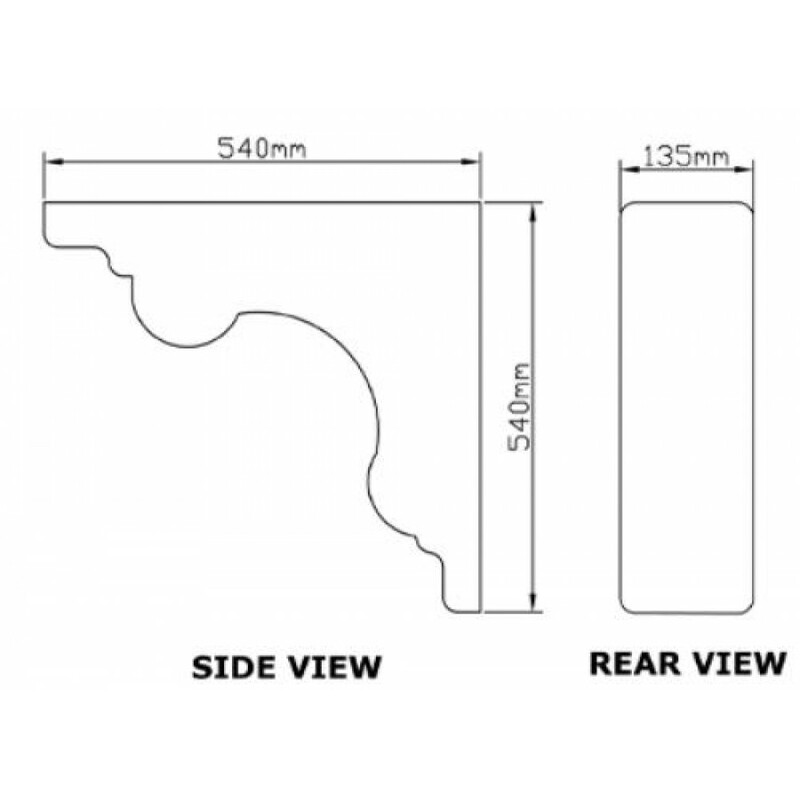 There are also optional decorative brackets supports available. 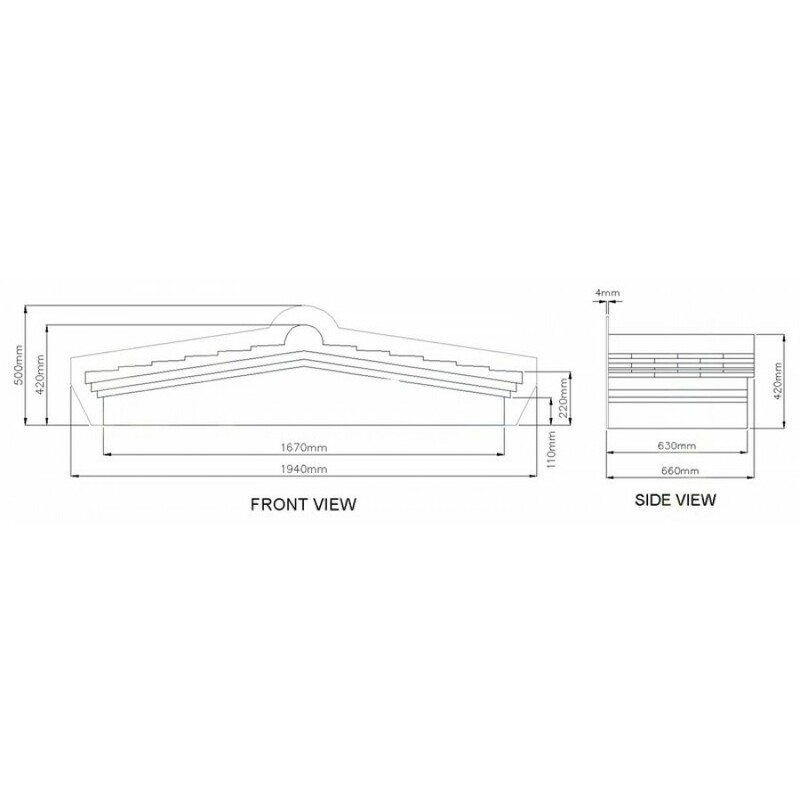 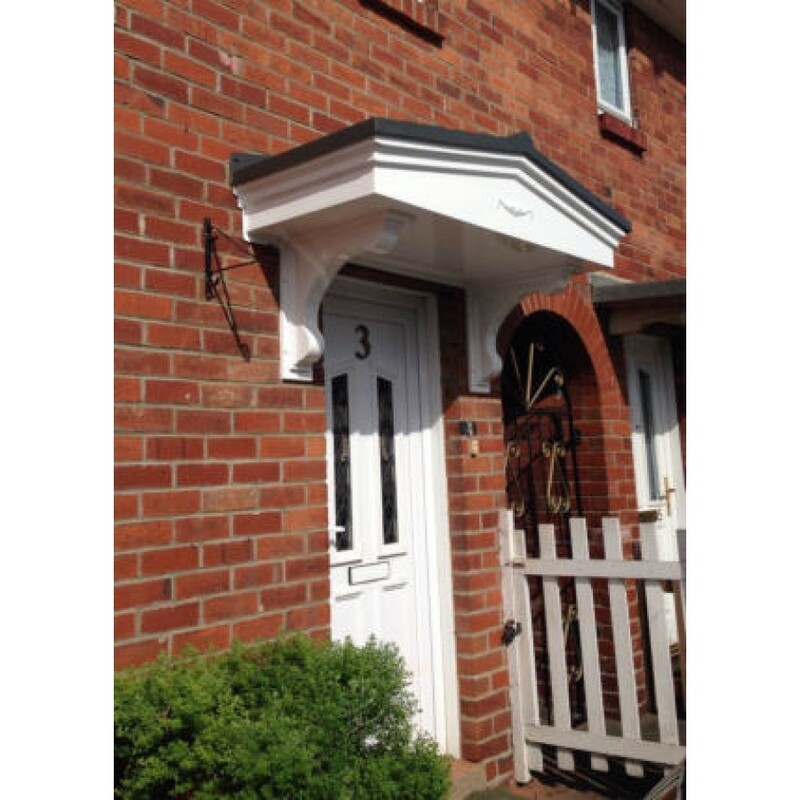 The Pacific door canopy is available in three different width options all of which are available on our website. 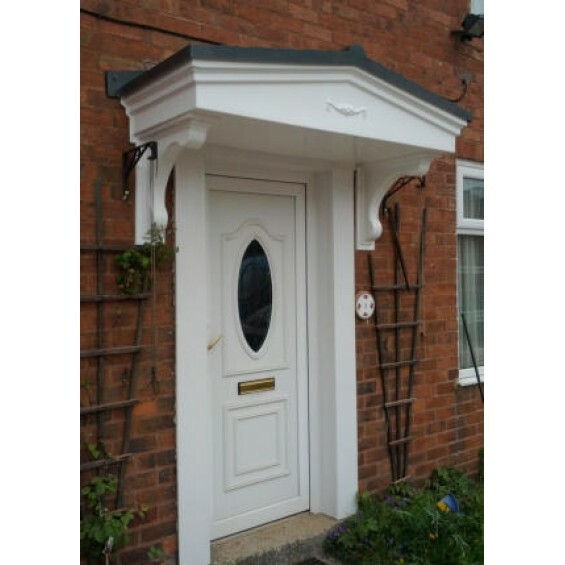 The door canopy is supplied in slate grey & white as standard but there are other colour options available such as oak. 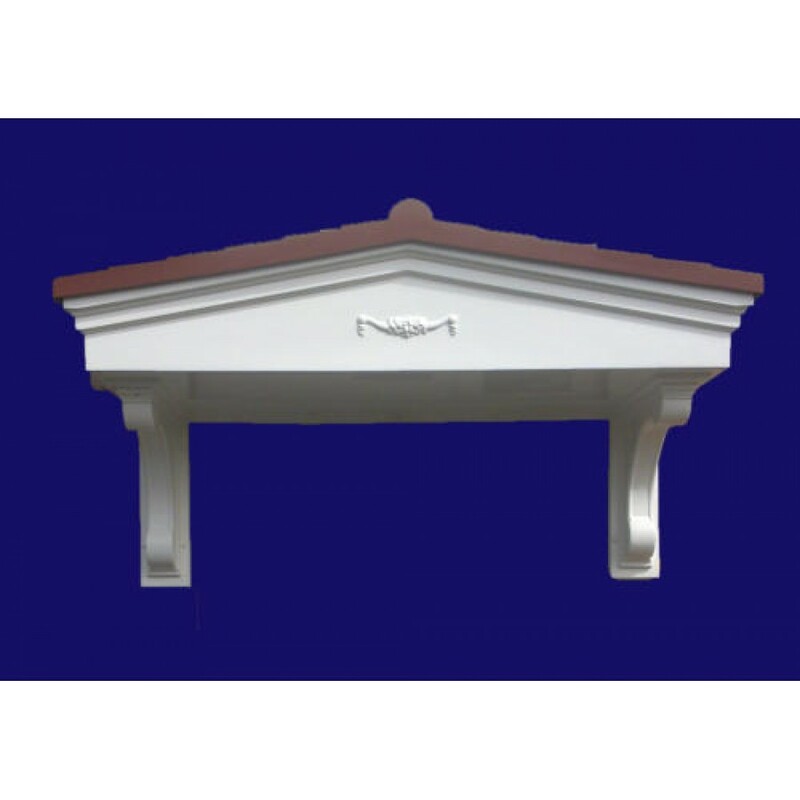 mahogany and anthracite grey which can be selected during th eordering process. 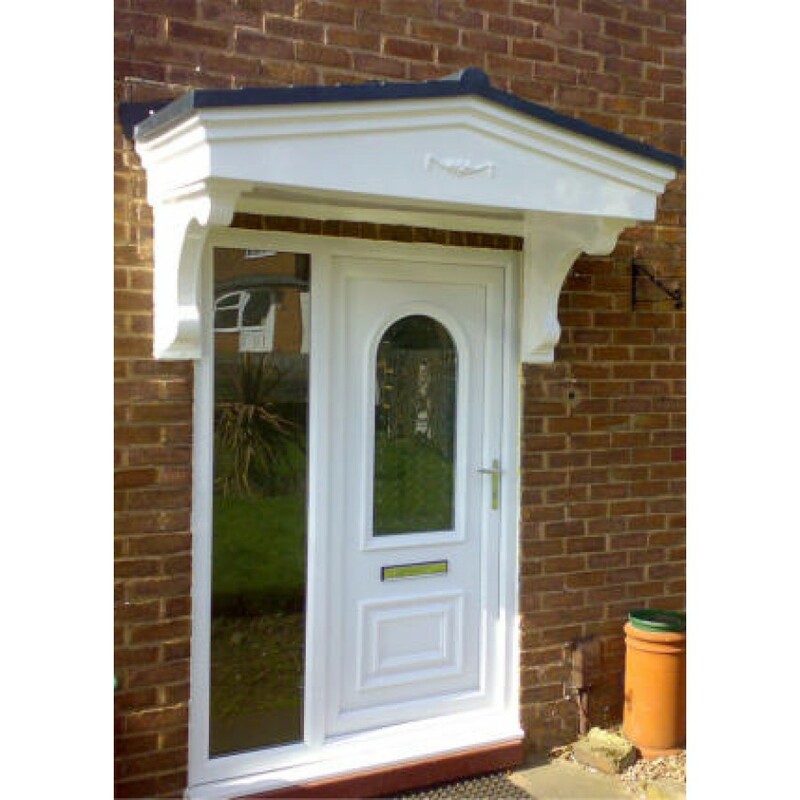 The Pacific S isa great choice for a single door porch door canopy that will add a touch of elegance to the exterior of you home. 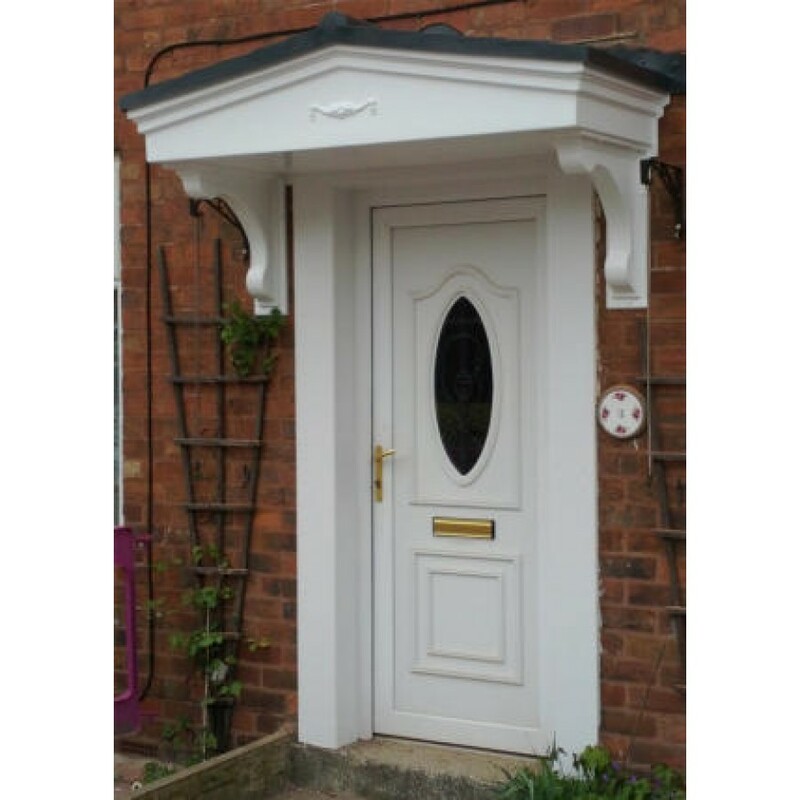 Every canopy is hand made to order at our Midlands based premises.